Welcome to Blog Profiles. Each week, PR Newswire audience relations manager Christine Cube selects an industry or subject and a handful of sites that do a good job with promoting, contributing, and blogging about the subject. While Christine is on maternity leave, Mary Johnson will be filling in. Do you have a blog that deserves recognition? Tell us why on PR Newswire for Bloggers. Believe it or not, but in 1984, President Ronald Reagan declared that July would be known as National Ice Cream Month and that the third Sunday of the month would be National Ice Cream Day. To celebrate this national event, I found four bloggers dedicated to sharing their love of this cool, tasty treat. Lindsay is on a journey to find the perfect scoop and shares her experiences on her blog Scoop Adventures. Her love for ice cream started as a child and expanded the day she acquired an ice cream maker. This new tool allowed her to create her own flavors at home, which lead to sharing her recipes online and eventually creating a cookbook. Aside from the mouth-watering recipes she devises, Lindsay’s photos are simply beautiful. I highly recommend The Real Black Raspberry Chip Ice Cream and Chicory Chunk Ice Cream. She really captures the essence of her ingredients as well as the finished product. If you don’t happen to have an ice cream maker, here’s how to make ice cream without one or you can browse her reviews of ice cream. Follow Scoop Adventures on Instagram. What do a law degree and ice cream have in common? Ruben from Ice Cream Science! Ruben decided that a career in law was not what he wanted and spent several years traveling. From his travels, he was inspired by the ice cream he tasted from all over the world and dedicated himself to learning the science behind the perfect scoop. A result of Ruben’s hard work and dedication is his impressive collection of organic recipes. He’s also working to have his own socially responsible ice cream parlor. By far the most interesting flavor combination on his blog (and quite possibly ever) is blue cheese and dark chocolate. But after reading the science behind this combination and seeing the pictures of the finished project, I want to try it. I would also like to try making his recipe for brown bread and dark rum ice cream. Follow Ice Cream Science on Facebook. The Big Muddy Ice Cream Blog is written by Elizabeth and Madeline Handschy, sisters from St. Louis, Missouri. When the blog was started in April 2014, Madeline lived a few states away in Minneapolis, Minnesota. The Mississippi River, a.k.a. “The Big Muddy,” and their love of ice cream kept them connected while apart. From Ben and Jerry’s to Haagen-Dazs and so many more in between, these ladies review tons of ice cream. They also seem to be working their way through every ice cream parlor in Missouri. Because of them, I want to visit St. Louis for the ice cream and especially to go to Clementine’s for their Bourbon Kentucky Pie. I also have a strong craving now for Ben and Jerry’s. Follow The Big Muddy Ice Cream Blog on Instagram. 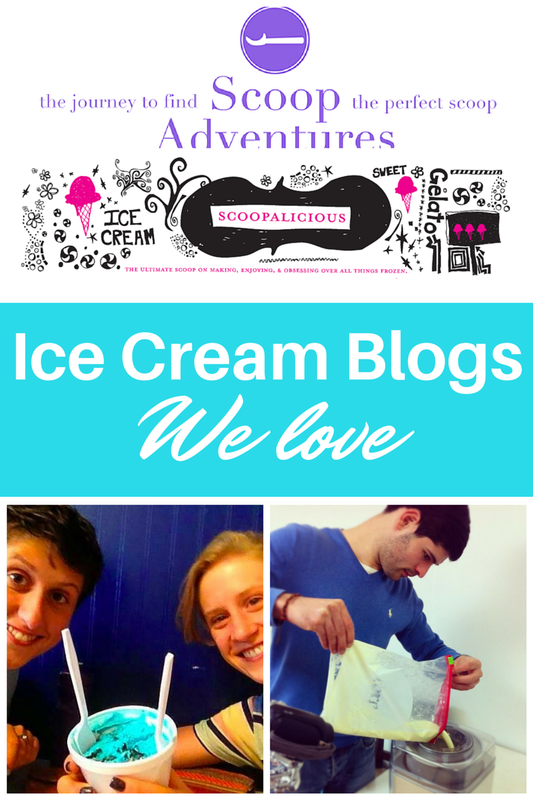 Scoopalicious has the scoop on making and tasting ice cream. They also keep tabs on where ice cream festivals are happening nationwide. There are not as many current posts as there are past posts, but the festival list is up to date and there are so many wonderful reviews and recipes that Scooplalicious is still a very valuable resource. My top picks from Scoopalicious are Cider Donut Ice Cream and Brown Sugar Strawberry Ice Cream. P.S. Ever wonder how we come up with ideas for our blog profiles? Our handy list of industries and subjects on PR Newswire for Journalists stays top of mind. If you’re a blogger or journalist looking for food news, let us know. We can customize a newsfeed for you on PR Newswire for Journalists. please check this one ice cream products visit the site to know more about gelatosales. websiteice cream wholesale visit the site to know more about gelatosales.